So, I've just obtained my award in Design (Professional Desktop Publishing and Graphic Design) and am rearing to show off my style... 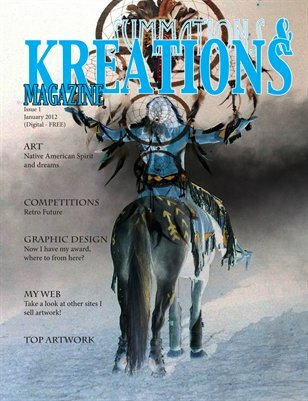 I decided to create a three monthly magazine about my artwork (Ambient Kreations). Get all the news, views and latest goss across all websites where I sell my works of art. Most of all... ENJOY READING IT!